Random Act of Kindness #11: Stop the Car! While staying in the mountains for the holidays, we were heading down to town to do some shopping. With winds gusting over 35 mph and freezing temps, there were a lot of branches and limbs laying about, including one that had fallen across a neighbor's driveway. Our 12 year old son said, "Wait! Stop the car, Dad! Let's get out and move that branch out of the way!" By George, I think he's got this! Random Act of Kindness #10: Look for the Sign! It’s the day before Christmas, and I wanted to share a story that my, now 80-year old, father shared several years ago about a particular Christmas Eve about 50 years ago. Although not the easiest thing to duplicate, it is a story that is a true, RANDOM Act of Kindness. Every year, someone asks my father to tell the story, so I wanted to pass along what has become a part of our Christmas story-telling traditions. But the most awesome experience he will always remember was one Christmas about 50 years ago, while our family was living in Kingston, TN. He was one of the JC’s delivering Christmas boxes to the needy. Naturally, as the local veterinarian, he was assigned the “out of town”, more rural requests. The evening was getting late, and on Christmas Eve, he was driving as fast as he could between stops so he could get home for our family’s own Christmas preparations. He had one more basket to go. It was getting dark, and he was met at the door of a brand-new house, by an angry man who demanded to know why he was so late. He noticed through the doorway, he had already received 2 other boxes from other sources and informed him they made their deliveries on schedule! He couldn’t believe what he was hearing! Thinking fast, he looked at his list and asked him his name. (He already knew his name, but kept it covered with his thumb.) When he told him his name, he said, “Oh I’m sorry….I am at the wrong house. You aren’t on my list.” (This was untrue, of course, but he would deal with that later.) He walked back to his car and left, not knowing what to do with the undelivered box. He drove through the night trying to decide what to do, when he saw a dim light in the distance. 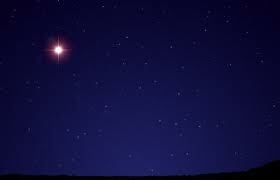 It was not a bright star as guided the shepherd or the wise men, but he was neither, so he followed it. The road was unfamiliar, and grew narrow. Soon, it was not paved at all, and it was too narrow to turn around. He could still see the dim light ahead in the distance, so he continued to drive toward it. Eventually, he arrived at the source of the light. He found a small wooden shack. He knocked on the door, and a young lady answered. The contents of the house were very modest, with furniture and cabinets made of sawmill lumber. She had a plain scrub pine Christmas tree decorated with handmade paper chains and under the tree was a 5# bag of potatoes. She had two children, one of which was a young baby lying in a hand-made, box-like cradle for a bed. Random Act of Kindness #9: Phone-A-Friend! I had a precious client that was a dear, dear, elderly man. He (Mr. P.) had bought and sold many houses through me over the years. But the most important thing about my relationship was not financial----it was what I learned from that sweet, old man. He was 94 years old, and had seen and done more in his lifetime than I probably ever will. He was orphaned as a young boy, and grew up in foster homes. As a young man, he served his country, fighting in World War II. As a civilian, his first job was loading pallets for Nabisco. Over the years, his hard work paid off, and he moved up within the ranks of the company. He retired with them as one of the most top producing salesmen Nabisco had ever had. In his earlier years, he had married the love of his life, and would light up when he talked about her, even though she had passed many years ago. They had one son who is a successful neurosurgeon in Dallas, and I am proud to say, is a client of mine now! My dear old friend used to call me now and then and say, "I have some things I need to discuss with you. Can I take you to lunch?" And as a gentleman, he would come to my office and pick me up, rather than meeting me at the restaurant. We would talk over fried chicken and ice tea, about everything EXCEPT real estate. He just wanted someone to share his day with. Funny thing is, this nonagenarian taught me more about myself and my professional career than I ever expected. The old-fashioned work ethic and public relations skills he didn't realize he was teaching me will always be a part of who I am as a professional, and I am grateful to him for the time he chose to spend with me. There are many people that spend the holidays alone, for whatever reason. Don't forget these folks in the excitement and celebration of the events: Give them a call to let them know you are thinking about them. Knowing Mr. P. was spending Christmas alone, I called him on Christmas Day to wish him a "Merry Christmas," only to hear his granddaughter, unexpectedly answer the phone. I found out from her that Mr. P. had passed away a few days earlier, and they were in town for the funeral. Unfortunately, I was out of town at the time, and missed the funeral, but I got to spend a lot of time talking to his son and granddaughter, and was able to extend my condolences to them personally. I wanted them to know what a wonderful father/granddaughter they had, and what a special blessing he was to me. This Random Act of Kindness is dedicated to Benjamin Andrew Wheeler, born September 12, 2006. To learn more about Benjamin and the other angels of Sandy Hook Elementary, please go to: http://mysandyhookfamily.org. Random Act of Kindness Suggestion #8: Here's a Tip! When you eat out at a sit-down restaurant, as you are paying your check, how about leaving a gift card in addition to the tip? Have you ever thought that restaurant servers have a physicially and emotionally draining job? They are on their feet the whole time they are working, running food here, refilling drinks there, and making sure numerous tables of guests are well taken care of. Show your server some appreciation and leave something extra when you pay your check. A gift card to a coffee shoppe, restaurant, gas station, car wash, etc. I am sure it would be appreciated! Servers are always taking care of everyone else---I am sure they would appreciate being on the other side, and be the one being taken care of! Random Act of Kindness Suggestion #7: After You, Sir! My father told me about a time he was walking toward an exit door when a young boy went running past him, nearly bumping into him. Just as he was about to judge this young man, who appeared to be rude and disrespectful, he realized as he approached the door, he was anything but....the boy had run past him so abruptly so he could open the door for him. He was humbled by the kindness this young boy had extended as he helped an elderly, arthritic man out. Have a patient, tolerant and open mind. Always remember: Things aren't always as they seem. Random Act of Kindness Suggestion #6: Return the Buggy! One day, it was pouring down rain when my son and I went to the grocery store. 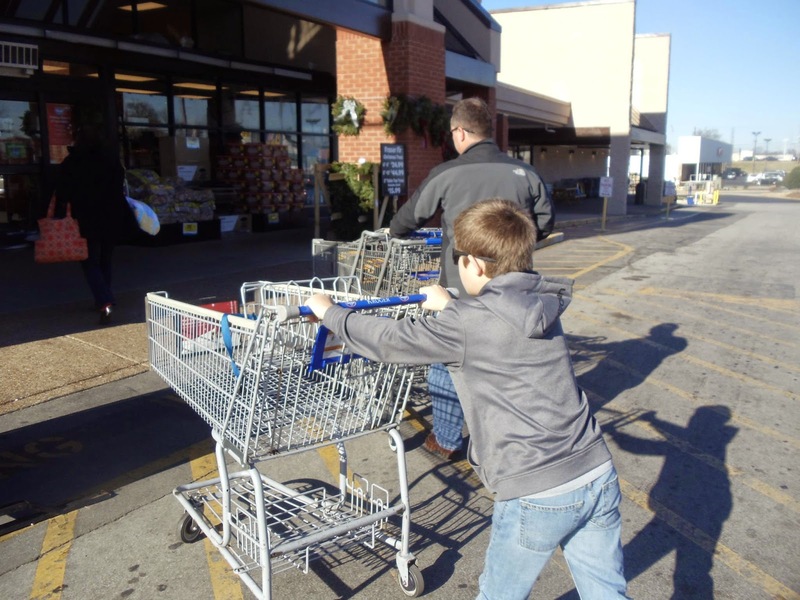 Before we got out of the car, I suggested that we should retrieve a few extra carts from the parking lot and return them as we walked to the store. Of course my son's first response was, "Don't they have workers that do that?" I replied, "Well, yes they do. But I am sure they don't like to have to go outside in the freezing rain to retrieve the carts. Just because you get paid to do something doesn't mean you wouldn't like a little help now and then with the least favorite part of your job." So another teachable moment----we both grabbed several carts and pushed them to the front of the store. Now when we go to a parking lot , he is in search of runaway and abandoned carts in the parking lot to retrieve. We got my husband on board with it, too, so now it seems neither of us can walk past a grocery cart with taking it with us to the front of the store.....Rain, shine, sleet or snow! One of the best parts of these activities is the opportunity to get your family involved....especially the kids. Kids imitate what they see, so it is important they see adults being kind to one another. One night, the first year I started my list of 26, I sat down with my family so we could come up with some ideas. We had a giant crock pot of chili on the counter that was ready for us to have for dinner that night, but could have easily fed two families. As we sat at the kitchen table writing down ideas, my son, who was 10 at the time, decided we needed to immediately drop what we were doing, and take half of it to our neighbors down the street who had just had a baby a couple weeks prior. So we bagged up a container with half the chili, a sleeve of saltines, some wrapped chocolates, and headed down the road to surprise our friends. We got to spend some time with friends, get some "baby love" and share some laughs. Good times for all! Random Act of Kindness Suggestion #4: A Hot Cuppa Chocolate To Go! Early morning bus rides during the winter can be a little chilly for the driver, opening and closing the door over and over again. Send a to-go cup of hot chocolate with your child to give to the driver. Add a wrapped treat with a note taped on the side, letting them know how much you appreciate them! Stand back and just wait to see the reaction and smile you get! My son and I noticed the Salvation Army bell ringer at the market had an almost empty bottle of Coke at her feet when we entered the store. We bought a fresh, cold bottle and gave it to her on our way out of the store as we dropped some change in her bucket. The look on her face was priceless! Part confusion, part appreciation, part, "What is this for?" We wished her a Merry Christmas, and give her a big "thanks" for her contribution to the community and walked through the parking lot, with huge grins on our faces and a high-five when we got to the car. This stuff works! The giving to others was an even bigger gift to ourselves! 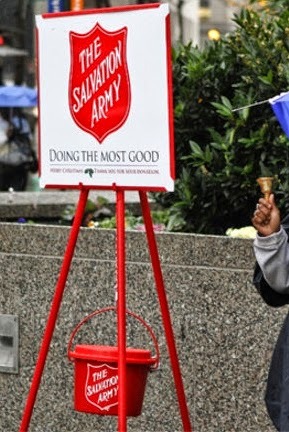 Every year, thousands of volunteers stand outside stores across the country in all kinds of weather---rain, sleet, snow, sun....ringing bells to draw attention to drop some change in their red buckets. The traditional red kettle is one of the first signs of Christmas, with millions of dollars collected each year to help needy families, seniors and the homeless. The donations provide Christmas dinners, clothing, and toys to families in need. Financial assistance also helps with basic necessities, along with seasonal aid. The volunteers that ring the bells for hours at a time are an integral part of the success of this program. This Random Act of Kindness is dedicated to sweet Daniel Barden, born September 27, 2005. To learn more about Daniel and the other angels of Sandy Hook Elementary, please go to:http://mysandyhookfamily.org. Is there someone that has made a difference to you or your kids, somewhere along the line? A teacher, coach, parent, friend, pastor......that really helped you in some way? 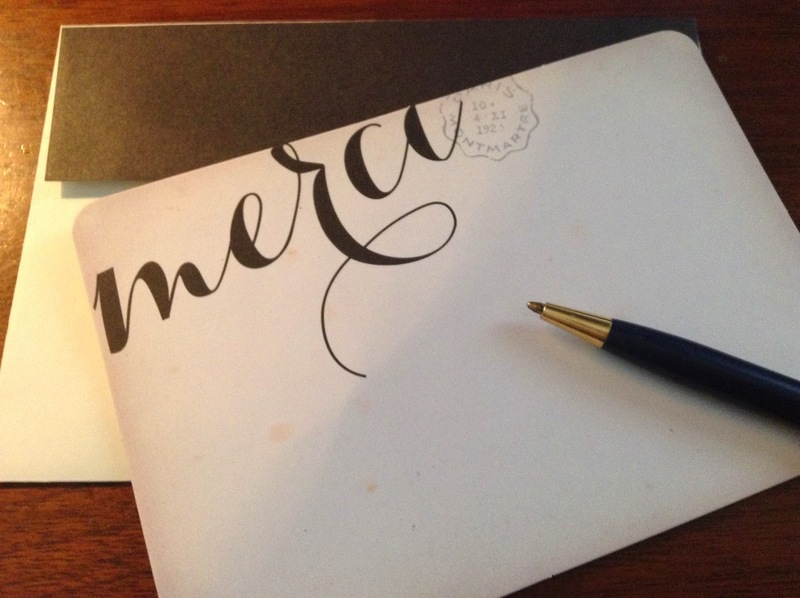 How about sending them a "Thank You" note, just to let them know how they impacted you/your child? Think about your child's teachers, coaches or youth directors. The amount of time, energy and emotional effort these men and women put into our kids is huge, and as in many public service professions, is often a thankless job. Our kids spend hundreds of thousands of hours with these dedicated care-givers each year. Let's tell them how much we appreciate them! This Random Act of Kindness is dedicated to sweet Josephine Gay, born Decmber 11, 2005. To learn more about Josephine and the other angels of Sandy Hook, go to http://mysandyhookfamily.org. The Toys for Tots Program collects new, unwrapped toys during October, November and December each year, and distributes them as Christmas gifts to less fortunate children in the community. In 2012, State Troopers stood outside a Kohls store to collect toys for the local kids. As I dropped some toys in the bins, I didn't realize how emotional it would be, after the what happened the day before. I could hardly say “Thank You” to the troopers before I burst into tears walking to my car. Acts of Kindness are a gift you give to yourself as much as those you are acting toward. Although I couldn’t stop crying for what seemed like forever, it made me feel so good to do something in honor of the Sandy Hook victims. It was then that I decided to make it 26 Acts, one for each life that was lost at the school that day, now an annual tradition for me and my family. In Charleston, go to http://charleston-sc.toysfortots.org/local-coordinator-sites/lco-sites/default.aspx for more information and collection site information. Or you can go to their main page, http://toysfortots.org/default.aspx. Today marks the anniversary of the tragic event of the Sandy Hook Elementary School massacre on December 14, 2012. Whether you knew someone personally or not, it affected us all. After the tragedy, I was angry. I was upset. I cried at the sight of the victims on the news. I wanted to cast blame. I wanted answers! As a mom, I, of course, thought, “I just can't imagine the pain those poor parents are experiencing.” But I was still able to do so many things I take for granted everyday: I was able to hug my children a little tighter, look into their eyes a little longer, laugh at their childish antics, cheer at their ball games, smile at their triumphs....Things that were taken from those parents, two years ago today. So rather than try to make sense of it or search for answers that didn't exist, I went in search of all that was precious and good. In a world that has a potential for so much hatred and evil, I knew that there was also a lot of kind and wonderful out there....I just had to look for it. So I went in search of “Random Acts of Kindness”. If I didn't witness someone else doing it, I did something myself. I shared these things on my Facebook page, and I received so many sweet comments. It turned out to be a gift I gave myself. It made such an impact, I decided to re-post them (and a few new ones) each year. These posts will start tomorrow, and go for 26 days: One “Random Act of Kindness” in honor and memory of each life that was lost. I love to read posts from others either being the “do-er” or “receiver” of a “Random Act of Kindness” (or “Paying it Forward”), so please feel free to add your experience in the comments of these posts for everyone to enjoy! This experience gave me more peace and motivation than I could have ever imagined. As I am usually exhausted, (and more than a little cranky) after the holidays, I had an energy that was exciting! As the New Year began, I changed my focus from what I hadn't accomplished by years end to what I had done right. I tried to treat people the way I thought THEY would want to be treated. I tried to be sympathetic and to understand that other people's behavior may be the reaction of something beyond their control. I tried to put myself in other peoples shoes----Maybe the crabby lady in the drive-through that didn't say much more than an inaudible grunt as she handed me my bag of food was probably upset because she just got a phone call about an ill family member...The woman in the grocery store that was yelling at her kids in the middle of the store was probably stressed about paying for her groceries after learning her husband had just lost his job. Rather than being a jerk, rolling my eyes, or worse, I was humbled to realize, that could just as easily be me. So as 2014 comes to an end, I reflect and realize how blessed I am. Although my husband's job created the need for us to relocate to a new state, we were blessed that the move was to Charleston, SC, an amazing community that we love more and more each day. The other day, after I dropped my son off at school, I had to dash into the grocery store at the last minute. Now keep in mind, it is 7 am, and I had just thrown on a sweatshirt, yoga pants (that have NEVER been to a yoga class), and sneakers, thinking I could dash in and out and no one would pay much attention to me. Yet, as I am running back to jump into my car, a gentleman exits his car next to mine (which, at that hour, is the ONLY other one in the parking lot), throws his hand up, flashes a great big smile and shouts, “Merry Christmas, young lady!” How could you not smile and have a great day after that! I smile at how blessed I am that my son has adjusted beautifully to his new home. He was embraced by the most awesome group of boys, being the newest member of his travel ball baseball team. He has amazing teachers, youth leaders and baseball coaches that are molding and shaping him into the man he is going to be someday. I smile because both our girls are hard-working college graduates----one that walked the stage just yesterday! I smile when they come home for the holidays and want to experience the same old family traditions. I smile because I am blessed with an amazing, responsible husband that is a wonderful provider and also an awesome dad to our three kids. I realize how blessed I am to have found a new brokerage to work for that is a perfect fit for me. My broker is supportive and a real joy to work with. Never a dull moment when Rob Woodull is around! My colleagues have graciously welcomed me and all are simply wonderful. Our administrative staff are fabulous. Our marketing and training staff and facilities are, quite simply.....superb! I realize how blessed I am to have a career that puts me with some of the most wonderful clients. To be entrusted to help them with one of the largest, most important purchases they will make in their lifetime, is quite an honor. They share their families with me. They share their dreams with me. We share lots of laughs, and yes, sometimes tears. It's All About Dat Fish, 'Bout Dat Fish...No Chicken! When you live in a coastal community, it is always a good idea to know where to buy the best local, fresh seafood. Mount Pleasant Seafood on Shem Creek is one of those local favorites! A family-owned business for more than 60 years, it is timeless....just what you would expect a local fresh seafood market to be...from the wooden porch to the concrete floors to the friendly, laid-back staff to the fresh fish displayed on ice. Stepping inside, they will make you feel like part of the family in the casual, no-frills market. It's all about the fish---whether it be the fish, or the sauces, sides or dessert to go with! Love a Shrimp Boil, but don't have the equipment to prepare it for a crowd? They've got you covered---just give them a call and they will have it hot and ready for you! Hosting an Oyster Roast? (A hugely popular event in the Lowcountry). They've got you covered----they can either cater your event or supply you with everything you need to host the perfect Oyster Roast or Shrimp Boil! Have you ever noticed the intense focus of a dog? If you haven't, let me tell you what I have learned about it from our labs. We have two labs. One is the mother and the other is one of her pups from the litter she had in 2011. My husband, being the primary care-giver of the dogs, is their main focus, the love of their life----He is their "WHY". They rely on him to survive and thrive....A pretty big "WHY", I'd say! When he goes to fill their bowls with food, every morning and every night----they jump and spin around like it's time to PARTY! "Woo hoo! Chow time! This is the best day of my life!" When he is in their view, the dogs won't take their eyes off him. I can be sitting right next to him, and even though I take a secondary seat in taking care of them (I have a pretty strong allergy to dogs, and unfortunately can only spend a limited amount of time with them up-close), they won't take their eyes off him. He is their primary focus, taking care of and spending a much greater amount of time with them. (And oh, we can't forget he provides them with the "best day of their life", twice a day!) And when the puppies were first born, the puppies focus was on mama---she was their "WHY"----they relied on her to survive and thrive. They didn't take their eyes off her---especially whenever she was taking a break from them, and was just out of reach. How intense is your focus? What is your "WHY"----why do you do what you do? Setting aside earning a paycheck---WHY do you do it? Is it for your family? To be an impact to your clients and help them achieve their dreams? To improve your lifestyle? To improve your knowledge? To be famous? Or like the labs--to survive and thrive? If your focus needs some sharpening, just imagine how our businesses would thrive if we had the same intense focus and energy as these pups, in everything we did? What if we had a "Woo hoo---this is the best day of my life!" mentality? Do you love what you do? Do you celebrate and appreciate that you have a career you love? Does your attitude say "Woo Hoo!" or does it say "BOO HOO!"? What if we didn't allow interruptions and/or setbacks to get in the way? What if we really focused on what would really get us to our "WHY"? What if we had clear and achievable goals along with a concise plan, and followed it with laser focus? What if we knew what we wanted and didn't take our eyes off the target until we achieved the goal (AKA: The "WHY") ? 2014 is winding down, and it is time to start working on business plans for 2015. It is time to really focus on WHY we are in this business and how we will achieve that "WHY". It is time to start writing down our goals, and how we plan to accomplish them. Take some time to really focus on this task. Find a quiet place to work, where you will have no interruptions or distractions, and really give it some thought. What tasks require most of your time and attention to get you to your "WHY"? 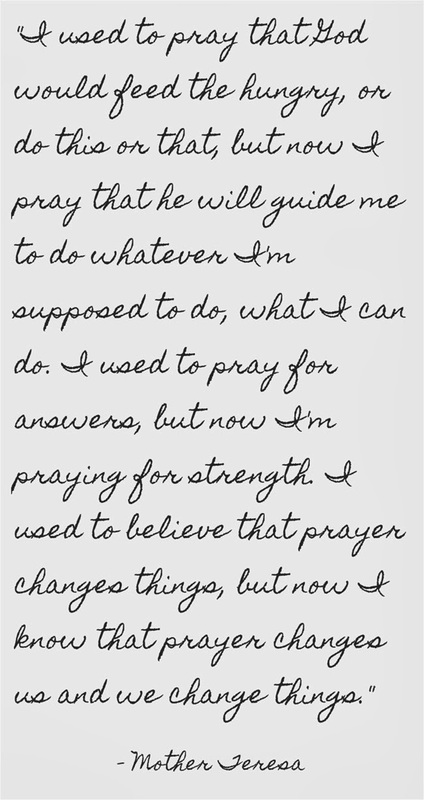 What tasks have you found propel your TOWARD your "WHY" and what pushes you further away? Use these ideas to create your business plan. Getting your business mapped out for the coming year will give you the headstart you need to get 2015 off to a great start. By beginning with the end (your "WHY") in mind, planning the journey is a whole lot easier, and your success a lot more likely! WOO HOO!!!! Relocation to a new area involves not only moving from one home to another, it also involves finding new service providers such as doctors, dentists, hair stylists, grocers, oh, and of course, your new Realtor®! This is a process that can sometimes be overwhelming, if you don’t know where to start. In searching for the best of the best in your new town, I recommend you find these professionals by getting referrals from satisfied clients and customers. Sometimes, you need to find someone that can step into the middle of a process, and manage it to completion. For example, orthodontic treatment. Yesterday, I had to take my son to a local orthodontist because he had a problem that couldn’t wait until we went back to his provider in Georgia for his last appointment. I called Crescent Moon Orthodontics on Daniel Island, and much to my surprise, they accommodated the “emergency”, getting us in to see my son right away. Dr. Michael Zetz and his staff welcomed us with smiles, enthusiasm and excitement. Not only did they welcome us to their office, but to the community, as well. Among all the obvious care and attention to detail in making office visits a pleasure, (such as a technology station, snacks and beverages, monthly contests for the kids, overall fun décor….I could go on and on…), my son was especially impressed when we arrived and his name was up on the “Welcome” board, along with the other patients that were scheduled to be seen that day. So how is this relevant to real estate? Let me explain. It is a big deal to take your kids to a new medical or dental provider that will make the child feel at ease. It is a big deal for parents to feel welcome in their new community, when there is so much uncertainty and apprehension that goes along with relocating a family to an unfamiliar area. It is a big deal to arrive as the new kids on the block, leaving behind friends and colleagues, and in my case, clients, to start fresh from scratch. But in life, we know to expect that there will always be change. It is in how we handle the change that determines our degree of success and happiness. While talking to my son’s new treatment coordinator, Brittany, I was telling her how impressed I was with the office and staff. She explained that their office had recently been “re-built”, as the result of a fire. Ironically, I can completely relate, as the office where I worked in Georgia had experienced a fire that required us to relocate several years ago, first to a temporary office space to what eventually became our beautiful new office. The 12-18 months of displacement were extremely difficult, and quite honestly, the most difficult year of my real estate career. I am not going to lie and say I didn’t consider giving up and finding something else to do. It was frustrating and hard to stay focused and determined to succeed. But I did it. I re-focused, made some necessary changes, and by the time my family and I relocated to Charleston, I had re-built my business, and it was thriving better than ever. So now I find myself back in that familiar place of re-building. By the time I left Georgia, the majority of my business was repeat and referred business from satisfied clients and friends. This is the best kind of client---one that comes to you based on a recommendation from someone that trusts that you will go above and beyond to take care of their referral. Starting with a common connection often creates a more relaxed experience for all parties involved. 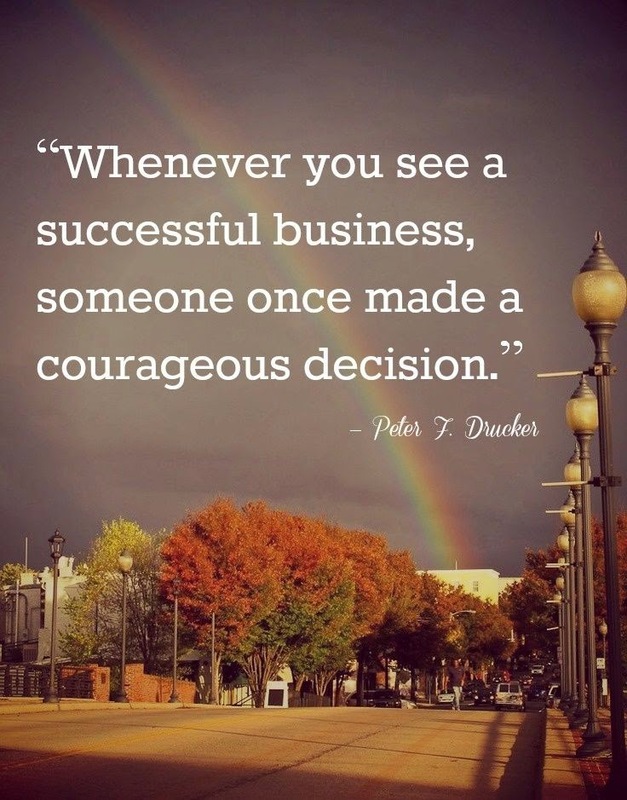 Peter Drucker stated, “Whenever you see a successful business, someone once made a courageous decision.” It takes courage to take a leap of faith and go where you think you can make a difference and succeed, even if it may not be the EASY choice. Success is hard work. It requires time, effort, focus, perseverance, sweat and tears. It requires determination and a mind-set that you are going to succeed by providing exemplary services that stands out from the rest. So as a request, I ask that you keep me top of mind and give me a call when you: 1. personally have real estate needs or, 2. know of someone that does. I can promise you that you the experience will be first-class service that has kept my clients completely satisfied over the last decade!